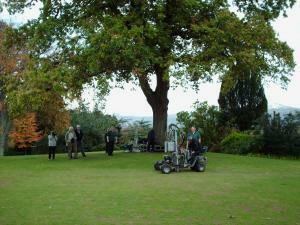 A renowned expert, Dr. Rose has been an invaluable reference point for Terrain Aeration over the years and his Saltex Tree Clinic follows an extremely successful surgery held by Derek Patch of the Arboricultural Advisory Service on Terrain's stand in 2009. "There's not much that these two experts don't know about trees," says David Green, Terrain's MD. The 'Tree Disorders and Diseases Clinic' with Dr. David Rose is on stand DAB 40, between 11.00am and 15.00pm on Wednesday 8th September at Saltex, Windsor Racecourse.